The Greater Adjutant Stork is large, striking, and revered in Hindu mythology. It’s also endangered, with populations in India and Cambodia numbering barely around the 1,000 mark. But it’s getting a helping hand from dozens of women in three Indian villages. National Geographic highlights the amazing story of how a group of villagers banded together to educate their neighbors and protect the Stork, a scavenger also called Hargilla (Sanskrit for “bone swallower”). 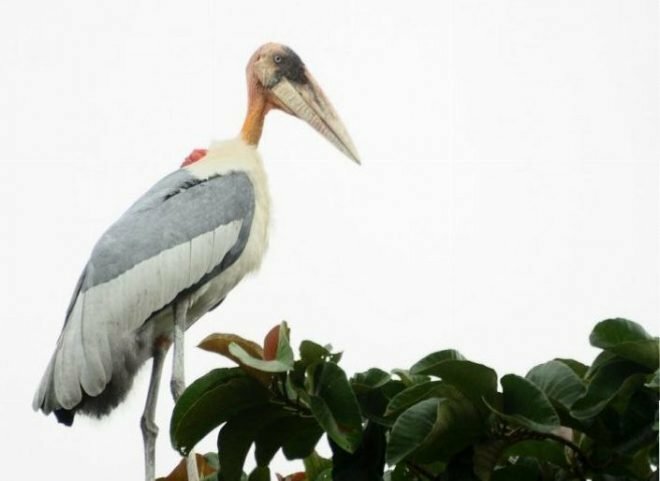 To counter the common image of the birds as unclean pests, the volunteers point out their ecological role in clearing away animal carcasses. They also note the bird’s sacred role in Hindu mythology. As such, they’ve turned their neighbors from actively trying to get rid of the Storks to welcoming their presence. The death rate for chicks has begun to decline, which is not insignificant for a bird whose population is so small. Successes like these have earned the group the United Nations Development Program India’s 2016 Biodiversity Award. Here’s wishing the “Hargilla Army” many more victories.